Cancer typically has an annual incidence of 150 per million children under 15 years of age in industrialised countries. Leukemia accounts for about one third of total incidence and CNS tumors (including non-malignant) for one quarter. Lymphomas, soft-tissue sarcomas, neuroblastoma and renal tumours each account for 5–10 %. 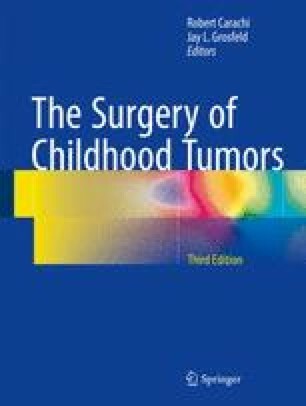 Most cancers of most sites in adults are carcinomas but in children the pattern is strikingly different. The causes of most cases of childhood cancer remain unknown, but established risk factors include a wide range of rare genetic conditions, high birth weight, ionising radiation exposure and several specific infections. Five-year survival now exceeds 75 % in industrialised countries but is lower in less affluent countries. The health of long-term survivors, including the risk of second primary malignancy, is the subject of several large epidemiological studies. Mortality from cancer is now 20–30 per million children under 15 years of age in wealthy industrialised countries. Ferlay J, Shin HR, Bray F, Forman D, Mathers C, Parkin DM. GLOBOCAN 2008 v1.2, cancer incidence and mortality worldwide: IARC cancer base no. 10 [Internet]; 2010. Lyon: International Agency for Research on Cancer; Available from: http://globocan.iarc.fr, Accessed 18 May 2012.